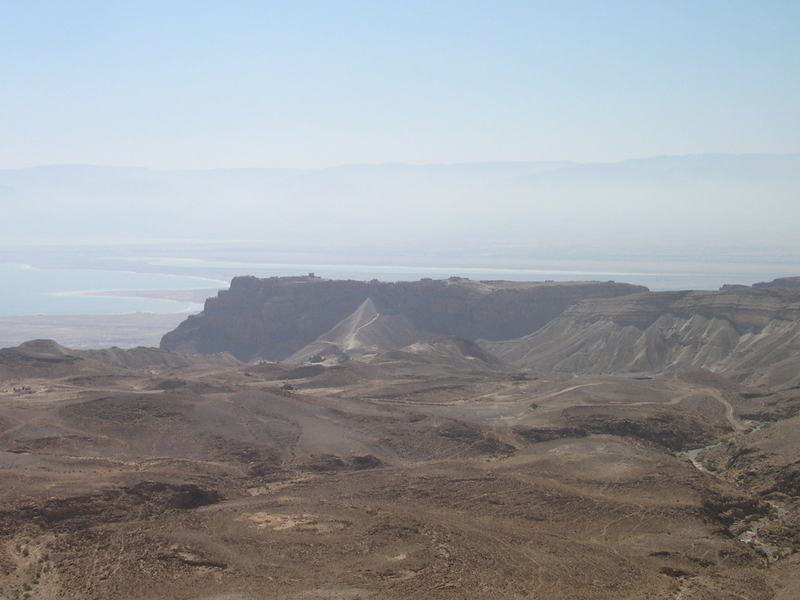 Masada is one of the most visited historical/archaeological sites in Israel, an isolated rock cliff in the Judean desert overlooking the Dead Sea. Although there is a cable car that will take you to the top of the mountain, a tradition has grown up to climb the Snake Path, a zig-zag trail, early in the morning in order to reach the summit in time to watch the sunrise – that’s what we did. The top is only 59 meters above sea level but remember that you’re starting at about 400 meters below sea level. You should be able to climb it in 45 minutes to 1 hour. If you want to do this the best place to stay the night before is the youth hostel at the base of Masada. 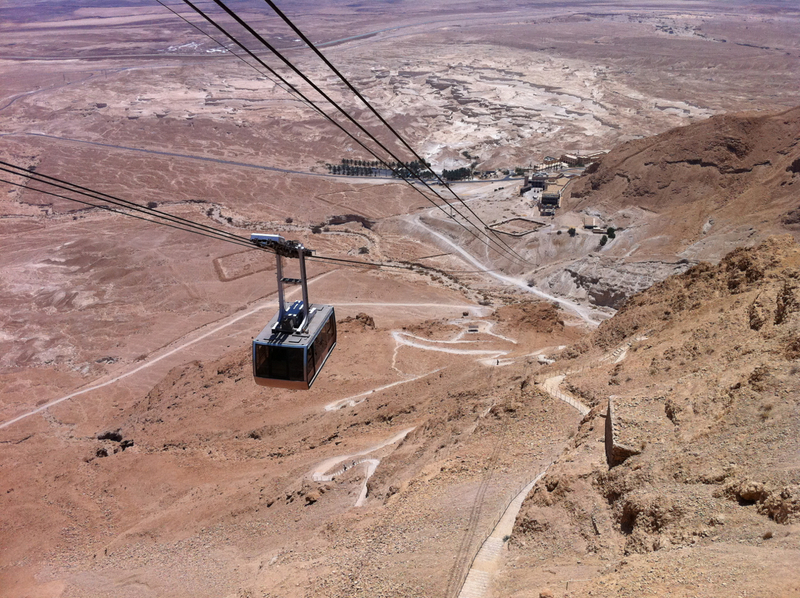 I recently read an article on the Israelity website about a group of 7 seniors from the Cedar Village retirement community near Cincinnati who came to Israel to celebrate their bar/bat mitzvahs and tour Israel including climbing Masada – their average age was 85 years old, the oldest was 97! Another option is a nice hike that starts at the same but splits from the Snake Path, you walk north on the red trail following the circumvallation wall built by the Romans around the mountain. You pass the 4th siege camp (northernmost) and follow the trail west and then south. As you climb there’s a great view of the Northern Palace hanging on the cliff and the water cisterns on the western side. You can go to see the cisterns and/or climb the Roman ramp to the summit. This entry was posted in Archaeology, Hiking, Nature, Travel and tagged cisterns, Herod, hike, Masada, palace/fortress, Roman camp, sunrise on December 16, 2009 by Shmuel Browns.